On an area of 222 rai on the Army Camp Suriyothai in the province Prachuap Khiri Khan is the creation of Lan Maharaj in progress. Lan Maharaj means Great Kings Monument. It will consist of three zones. The first zone will contain the bronze statues, each 13.9 meters high, of the seven “great” kings who reigned between 1279 and 1910. The second zone is intended for royal ceremonies, military parades and a reception area for foreign dignitaries. The third zone will be the museum with biographies of each king. Ruled the Sukhothai Kingdom, a forerunner of the modern kingdom of Thailand, from 1279 to 1298, which was one of the most prosperous eras. He had contributed toward the creation of the Thai alphabet and the firm establishment of Theravada Buddhism as the state religion of the kingdom. Governed Ayutthaya, the old capital of the country, from 1590 to 1605. In 1592, rival Myanmar mobilised troops and overran Ayutthaya. The army was led by Phra Maha Uparat, the son of the Myanmar King. King Naresuan and Phra Maha Uparat led their armies on elephant’s back into battle and Phra Maha Uparat was finally defeated and died during the fighting. Reigned from 1656 to1688, regarded as the “Golden Era of Thai Literature” as the king himself had a passionate interest in literary works, which were produced by such outstanding poets as Pra Maharajkru, Pra Horatibodi, and Sriprachya. A number of old Thai literature styles were revived at the time. As for foreign relations, Ayutthaya was the centre of international trade as it engaged in extensive dealings with merchants from different parts of the world including the Dutch, the British, the French, the Portuguese and the Arabs. Era started from 1767 and lasted until 1782. After the second defeat of the Ayutthaya kingdom at the hands of Myanmar, King Taksin set up Krung Thonburi as the new capital on the west bank of the Chao Phraya River in 1767. During his reign, he suppressed several groups of rioters and built national unity. The first king of the Chakri Dynasty who reigned from 1782 to 1809. After his coronation, he established Bangkok as the new capital city on the east bank of the Chao Phraya River, where he had envisioned the potential for a vast expansion of the city and excellent strategic location for security. Reign spanned from 1851 to 1868, was dubbed “The Father of Thailand’s Science and Technology” as he embraced Western innovations resulting in the initial wave of modernisation of Siam, both in technology and culture. In 1868, King Mongkut was also able to accurately predict solar eclipses. Ruled Thailand from 1868 to 1910. He ordered and saw to a peaceful abolition of slavery. 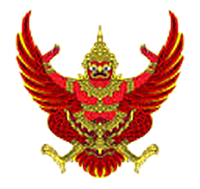 In his reign, Siam was threatened by Western imperialism.